DermaSyis Tripetyd Viper Serum Lifting Ampoules 10 x 3ml. Dermasyis Slakkenslijm Crème 50 ml. DermaSyis Tripeptyd Viper Cream 50ml. DermaSyis Helix Extract Serum Ampoules 3 x 3ml. Dermasyis Vitamin Cocktail Ampoules 3 x 3ml. DermaSyis Tripeptyd Viper Cream Mask 200ml. 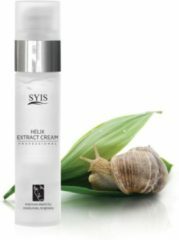 DermaSyis Helix Extract crème masker 200 ml. DermaSyis Tripeptyd Viper Cream Mask 300ml. Dermasyis Hyaluronzuur Crème 50 ml. DermaSyis Crèmemasker voor capillaire huid 100 ml. Dermasyis Vitaminecocktail Crème 100 ml. DermaSyis Vitamin Cocktail Ampoules 10 x 3ml. Witte Dermasyis Slakkenslijm Crème 100 ml. DermaSyis Strengthening And Soothing Ampoules 10 x 3ml. DermaSyis Enzyme Peeling 200 ml. DermaSyis Anticellulite Ampoules met Caffeine en Theofylline 3 x 10ml. Dermasyis Crème voor verwijde haarvaten 100 ml. DermaSyis Ultrasound Gel met Hyaluronic Acid 200ml.